The SuperAdmin and Organization act as admin accounts and can create customer user accounts. When an organization creates a customer account, that account is associated with the organization. When the SuperAdmin creates a customer account, the SuperAdmin can select which organization the customer will belong to. Should the SuperAdmin not select an organization, the customer is associated with a default organization that the SuperAdmin manages. To create a customer account, click on Customers on the left-hand menu of the SuperAdmin or Organization dashboard. The required field for a customer account are Account Name (no spaces, case-sensitive), email address and password. You can generate a password using the Generate Password button. After filling out the fields for the new customer, click the red plus button. If you are creating a customer account as the SuperAdmin, make sure to select the organization. 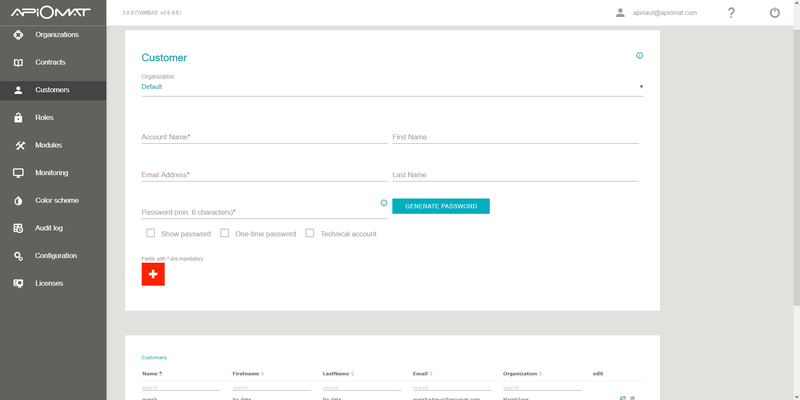 When creating a customer account, you have the option to set the password as a one-time password. Once the customer signs in for the first time, they will be prompted to change the password as shown in the image below. 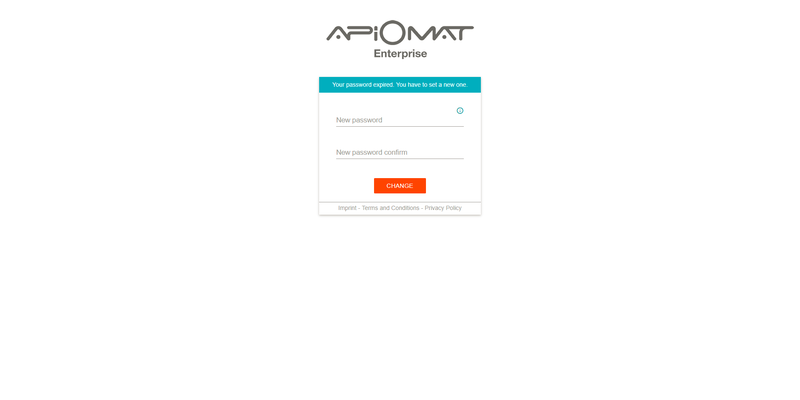 Technical accounts do not have access to the ApiOmat Dashboard. These accounts can be used by IT operations to communicate with ApiOmat via the command line and cURL. 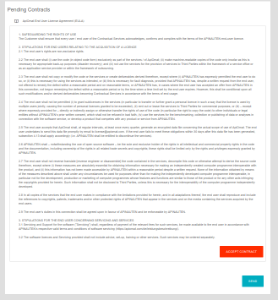 To create a technical account, simply select the Technical Account box.